February 10, 2011. Tyler, The Creator releases the self-directed music video for his single “Yonkers.” The visual is simple yet shocking, creepy yet mesmerizing and ultimately unforgettable. I still get squeamish imagining the oversized cockroach crawling around his hands (in my soul I know he ate it). 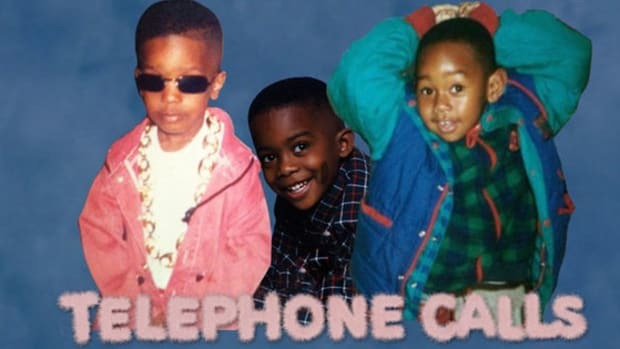 It shocked the internet, from the threats against Bruno Mars&apos; esophagus to the noose hanging at the end, the video shattered the barrier that separated Odd Future from the world. They were the vulgar, rebellious, boisterous weird kids that made you uncomfortable, their forte was disturbing the peace. A group that perfectly embodied the definition of odd. July 5, 2011. 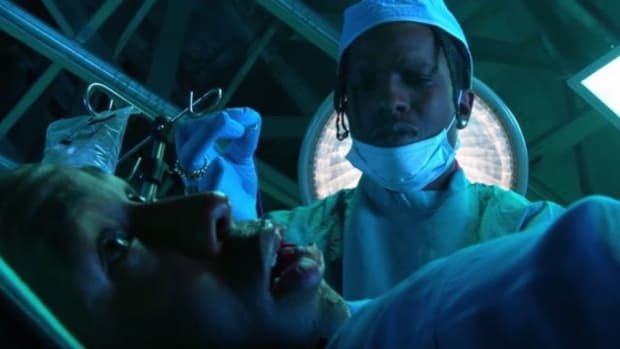 A$AP Rocky releases the co-directed music video for “Purple Swag,” It is simple yet enthralling, full of swag and charisma and ultimately unforgettable. Every time I hear the song I desire a 40 oz and a white girl with a mouth full of gold. It took the internet by storm, the blogs boasted until A$AP Rocky and his A$AP Mob was known worldwide. They were arrogant, cocky, and overflowing with charisma, the kind of weird kids that defined what would be deemed cool. The trendsetters that had enough style to dictate what will be hot in the winter and cold in the summer. Two leaders, two groups, both destined to leave a lasting impact on modern hip-hop. Two groups walked through the same door in the same year. Two giant collectives, both acclaimed for their internet infamy, maneuvering in the same industry, but in two different universes. Of course, with limited space and them both rising at once tension was perhaps inevitable. 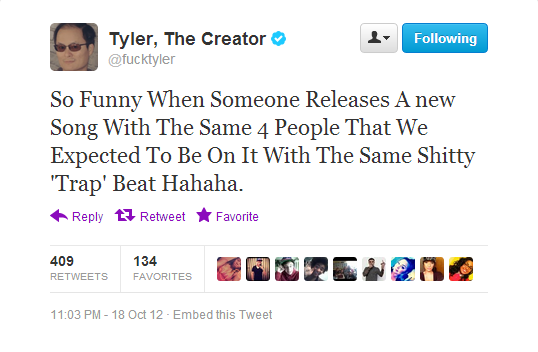 Hodgy tweeted, “A$AP Copy” and Tyler’s Twitter fingers would make subliminal comments that would seem directed toward an A$AP release. There was a time where Rocky couldn’t do an interview without the rivalry being mentioned. In one interview with VladTV he called the exaggeration of their beef “irrelevant” and despite the two crews not liking each other, he liked Odd Future and wouldn’t mind working with Tyler. No one saw that ever actually happening though. As time went on the two groups just moved on. 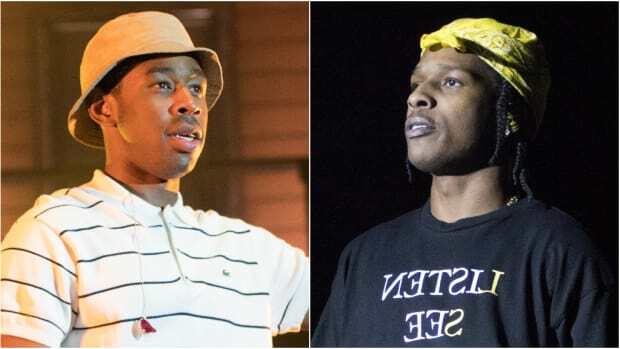 A$AP Mob would be embraced by the mainstream while Odd Future would sit on the underground’s throne. Both collectives are now extremely successful in their own ways, both figuring out how to function both as a collective and as solo artists. 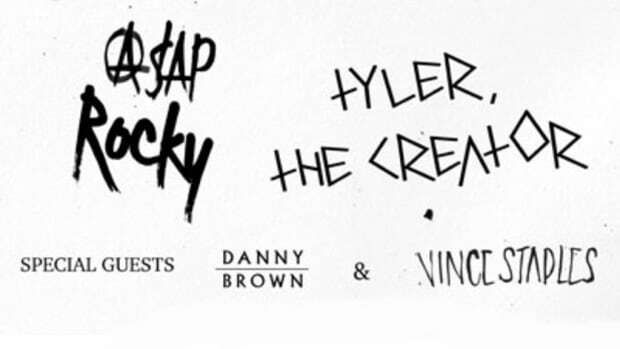 This year, Rocky and Tyler both put out their most anticipated and ambitious projects yet. The idea for these two doing music together would be farfetched, but to imagine the two on tour together seems more like a 2011 Tumblr user fantasy and not a real-life occurrence. To my surprise, they recently announced a co-headlining tour. It felt like the time The Simpsons and Family Guy announced their crossover. A combination of emotions that ranged from shock to disbelief. If this was April I would consider myself a fool to believe this could be true. Maybe there’s something in the water that is bringing polar opposites together. McDonald’s and Burger King recently ended their beef to collaborate on a burger, Tyler and Rocky touring together, at this rate, by 2016 we will be getting the first ever Android-iPhone. What a time to be alive. While they might not have much in common musically, Rocky and Tyler are two masters of branding and visual art. It’s not a coincidence that both broke into the industry through music videos that they self-directed. Their eye for details and the vision for their aesthetics aided in the overall success of Odd Future and A$AP Mob, and they were both masters of making people feel like they needed to be a part of their respectively odd mobs. 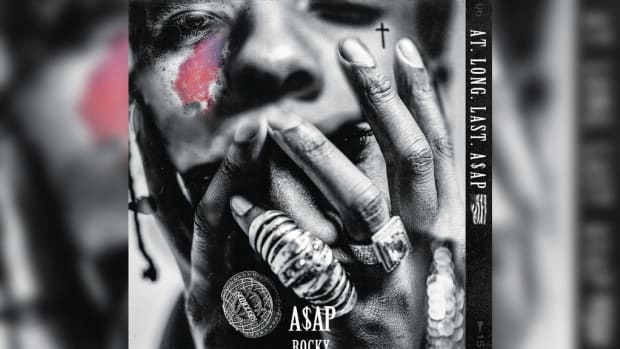 Rocky really raised the creative ante with “L$D,” but he raised it again for his latest effort, which is his best yet. The single “Everyday” is turned into a “Hip-Hop Hollywood story.” It begins with a very rich and very fat Rocky floating in a giant swimming pool. It’s meant to symbolize a prosperous future, the riches and rewards turn Rocky into a gluttonous man that is seeking to re-achieve his youth. It’s so extreme he attempts to use plastic surgery so he can return to the outside world. The video gets a bit tricky, however, reverting back to Rocky before he devours all the fruits of his labor. Seems like the moment right before he becomes bigger than big. Despite the puzzling narrative, it’s a strong visual that will grab your attention. Rocky is usually credited as a co-director, Emmanuel Cossu and Fleur & Manu are the other credited directors that help bring the video to life. After his brief hiatus, Rocky has definitely stepped up his visuals. He’s evolving, just look at his Instagram, it’s strategically curated to feel like you&apos;re walking through an art gallery in Soho. I’m sure his creative team, AWGE, has been a huge asset in bringing to life these ideas. He’s the same jiggy artist but taking things to the next level. 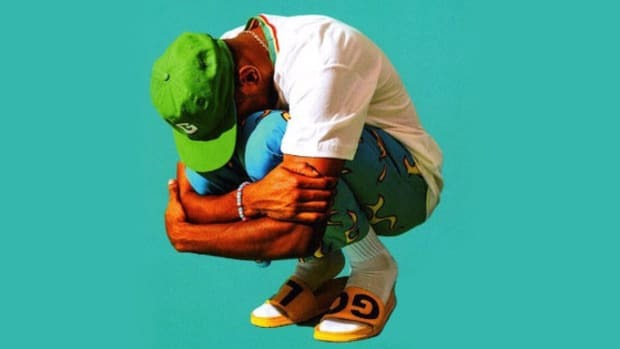 Tyler is far more creatively ambitious, after “Yonkers,” a video shot in black and white, his visuals became brighter, utilizing fluorescent greens, pinks, and blues instead of black and white. 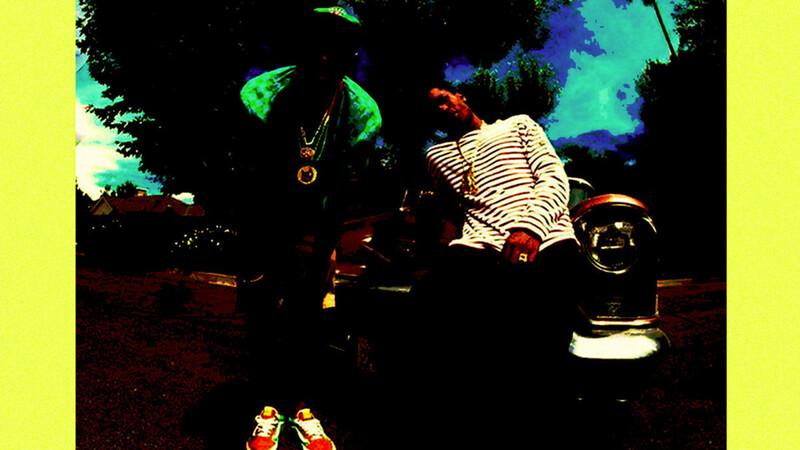 The kind of colors that would later be used for his Golf Wang clothing brand. He had no bounds, fans of his music are attracted to his creative mind and even his annoying but whimsical humor, which matches his wild and unpredictable personality. He shoots everything from music videos to fictional movie trailers, and commercials for products that don’t exist. He’s a visionary, his ideas are so unique there’s few that can match his absurd awesomeness. “Domo 23,” for example, is one of my favorites. 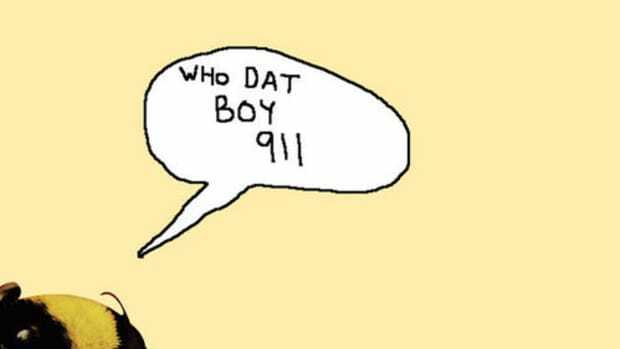 He creates a wrestling theme that’s practically a parody of WWE with a touch of Odd Future. 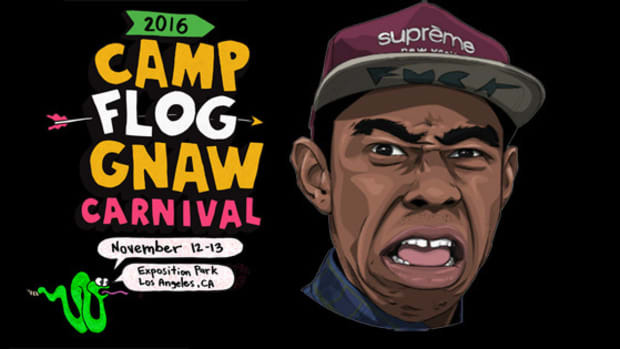 He becomes the character Fookie Bookie with Domo Genesis as an adversary, and Earl Sweatshirt plays the referee. You get the body slams, top rope dives, a body thrown through a table, and even a sumo wrestler enters the mix. He perfectly bridges music video and sketch comedy. Tyler is known for including more than one video, and at the end, there’s a clip from the song, “Bimmer.” He captures the summery ambiance that the song exudes, but he truly showed growth and range with the release of “IFHY.” The dollhouse concept is the best kind of weird. He applies makeup to make his face toy like and his body language matches the role. Imagine Ken with Tyler’s personality dealing with Barbie’s rejection. By far the best video Tyler has directed is one that doesn’t include him. Toward the end of 2013, Tyler released a video for “Glowing,” a song by an anonymous pop artist. It was later revealed that the artist is D.A Wallace, former lead singer of Chester French. Despite not knowing who the artist was, the video and song were both so incredible it circulated around the internet. This is Tyler at the top of his game. He depicts a young couple, starting off as children until they reach old age. There’s a television set that shows all the travesties occurring in the world. The colors are vibrant, the yellows and pinks simply pop. It’s both beautiful and depressing. It truly showcases his talents and why more people should allow him to direct, hopefully, more artists will give him the chance. I’m hoping while Tyler and Rocky are on the road some joint visual creation will come forth. I would really like to see what happens if they came together and directed a video or short film, something that showcases their strengths and what happens when the two minds meet. Regardless, the tour will truly be one to witness, who knows if the two budding superstars will ever be in the position to touch the same stage again. It will be worth going to witness their two respected followings in the same place. Just imagine the donut tees and Vans meets gold grills and Margiela. The hypebeast and the hipsters. Unity is a beautiful thing, and sometimes your closest ally can at first seem like your enemy.